Are you excited about buying a new home? Whether you will become a first-time homebuyer or simply want to move into a new home, you should be excited! You probably already realize that you are embarking on an action-packed adventure ride – full of financial budgeting, escrow payments, real estate meetings and more! You may have even calculated a pricing range or even an exact sales figure that will get you the home of your dreams. Before you start your victory dance, though, you must take a moment to calculate the hidden costs of buying a home as well. The truth is that the sticker price you see in that real estate listing or on the “For Sale” sign in the yard is most of the iceberg. However, your budget still needs to leave plenty of room for the tip of buying a new home. Starting Fact: According to CNN Money, nearly 50% of homebuyers accumulated over $2,000 in charges during the homebuying process that they did not expect. Once you calculate all fees associated with buying a home, you will have a clear view of the big picture of homebuying that many potential homebuyers have overlooked in recent years. What exactly are “closing costs?” You may have heard or read the term frequently during the homebuying process, but not been fully sure what it meant. Think about it like the “fine print” costs and fees associated with the sale of your home. It is highly recommended for you to budget at least 2-5% of your desired purchase price to make sure you can cover the closing costs. Let’s say that you considered buying a new home in Charlotte, North Carolina – one off the fastest growing housing markets in the U.S. thanks to the rising popularity of its mixed-use developments. USA Today reports that the median home price in Charlotte is $325,000. What are the estimated closing costs? 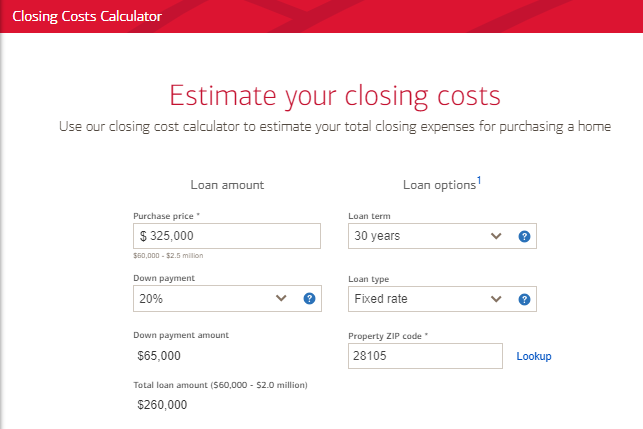 The online calculator estimates that closing costs of this hypothetical scenario – including escrow payments and pre-paid items – will total $8,557. As you probably already know, the core of real estate is location, location, location! Let’s take a closer look at some of the standard closing costs to educate you on these “hidden” yet significant fees associated with buying a new home. Follow this step-by-step guide closely to improve your financial health this year and push yourself one step closer towards reaching your goals. With each application you fill out along your journey towards buying a new home, chances are that there will be a fee involved – especially when applying for a mortgage loan. Make sure that you ask the lender what is included within the application fee before you pay it. For instance, some lenders may include the cost of pulling your credit reports within the application fee to eliminate any additional charges. When shopping around for the most competitively-priced lenders, pay close attention to what provisions and/or incentives come with the application fee. Take another look at the scenario referenced above – especially the breakdown of the estimated closing costs. You will notice that nearly 36% of the closing costs covered lender origination fee and points. A substantial chunk of that amount, however, only covered the loan origination fee. What is the loan origination fee? Studies have concluded that it is one of the largest closing costs you will pay as you work towards buying a new home. Why is that? Just like real estate brokers and agents make their money off real estate commissions within all fees associated with buying a home, the loan origination fee is how the lender makes money. Yes – that’s right! The tiny, microscopic 2% of a $500,000 mortgage loan means that you could end up paying $10,000 just for the loan origination fee. If you are interested in money-saving tips when buying a new home, this is an area that could save you a bundle. Once you have built a good rapport with your lender, feel free to openly discuss the loan origination fee and try to negotiate the terms. Most lenders are willing to work with you – especially since they know you could just take your business elsewhere and they would miss out on the whole deal. 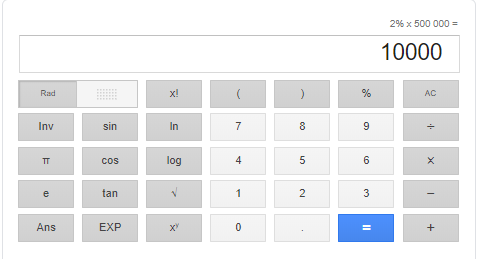 As you can see from the money math calculated above, every little bit helps. For instance, let’s say that you negotiated a 1.5% loan origination fee. On paper, it may look like you did not save much. However, that would still be a savings of $2,500 with a $500,000 mortgage loan! Think about what else you could do with that money besides watching it disappear within the world of the hidden costs of buying a home. You can also explore these 11 easy ways to get a competitively-priced online mortgage! As you can probably imagine, there is a lot of paperwork involved with buying a new home. It takes a considerable amount of time to create, fill out, sign and process all the forms, files, questionnaires and applications needed to buy a home. As the old saying goes, time is money! Therefore, your lending institution may find a way to add the costs associated with processing this paperwork to your bill. On average, document preparation fees may range between $50-$100 depending on the lender. Pay close attention to any itemized invoices that you receive from the lender to see just how much they charge you for this service. See if this administrative expense is up for negotiation with your lender. You may be able to get the fees waived or included within your overall service agreement. The title is a cornerstone of homeownership documentation. Along with its significant value, though, comes its own list of related expenses and fees that you must pay to get your name printed on the title. Title Search: You need to make sure the title is not attached to anyone else’s name, company or Trust. A title company may charge a title search fee to make sure it is free & clear for you. Creation of Public Record: You may also need to pay the local recording office to document your real estate purchase as public record. Title Insurance: If you get a mortgage loan when buying a new home, the lender may require that you purchase title insurance to protect the amount of your mortgage loan. You should consider investing in title insurance policies for both the lender and you as the owner. Another item added to the list of the hidden costs of buying a home is the appraisal fee. What is the appraisal fee? As is the case with any type of appraisal, it is all about the value. An appraisal of your new home is an estimated value of the house that you want to purchase. When you try to secure a mortgage loan, investing in an appraisal is usually mandatory – not optional.When is an appraisal required? Mortgage lenders and brokerage firms want to make sure that your loan-to-value ratio is intact. The lender will more than likely already have a certified appraiser in mind for you to use. However, it is possible that the lender may allow you to find your own appraiser if he or she can provide proof of certification. See More: Here are 9 tools that you can use to get a free home appraisal. The mortgage lender will be able to easily calculate the first number (mortgage loan) because that ball is in their court. However, the home value is the missing puzzle piece and they are not going to take your own personal estimate. They will typically require a professional appraiser to examine the property and assess its current market value. It may seem like this expense should be “part of the package.” Well, it is… the “package” of expenses that you must pay when buying a new home. In most cases, you will spend an average of $650 (range: $300-$1,000) on a standard appraisal. Once the LTV ratio is calculated, your mortgage lender can potentially give you the green light on the loan – which will bring you one giant step closer to homeownership. You should double-check the terms and conditions of your own service agreement to see if you must cover the cost of credit reports with your own money. Explore these 17 unbeatable ways to effectively improve your credit score over time! Good to Know: You should consider getting free credit reports (which you are entitled to each year) or take advantage of the credit reports and scores made available by most subscription-based credit monitoring services. In addition, each credit report request processed by a creditor will generate a “hard inquiry” on your credit report – which will have an impact on your credit score. Do not let this scare you off, though, because studies show that the impact is not as “hard” as it may seem. Therefore, make sure that you strategically plan the timing of your credit report inquiries to work in your favor while still complying with the required criteria outlined by the mortgage lender. In addition to the other fees you must pay as closing costs when buying a new home, you must also add taxes to your projected budget as well. The amount of taxes that you will pay during the closing stage of your homebuying process is contingent on your location. In most cases, though, it is expected for homebuyers to pay at least 2 months of property taxes. Keep in Mind: The city/county property taxes may just scratch the surface, because you may also have to pay a government-mandated transfer tax that will help to pass on the title for your property. You may also have to pay school taxes depending on where you live as well. Before you make an offer when buying a new house, you should consider the school district and if these taxes are required. Pro Tip: It is recommended for you to check with the mortgage broker or real estate agent handling your homebuying process to at least calculate estimates to consider. For instance, one report claims that the average county may collect up to $2,000 each quarter to cover upkeep expenses for the local education system. The typical down payment is not necessarily a “hidden” expense within the homebuying process. Most people associate down payments with purchasing either a house or an automobile. However, the “hidden” factor is usually the amount of the ideal down payment. Based on your credit score and the terms and conditions offered by the lender, you could potentially pay as little or as much as you want towards the total purchase price. What is the “magic number” when it comes to down payments, though? Forbes reports that the ideal down payment is 20% of the total purchase price – which explains why it was used in the hypothetical example referenced above. It increases your chances of getting approved for a mortgage loan with a competitive interest rate. You will have lower mortgage payments since you pay such a huge chunk of your purchase price upfront. It makes it easier to meet the debt-to-income ratio requirement (43%). Want More? Use this guide to help you take the 7 easy steps necessary to save for your down payment! The “magic number” of down payments can also help you to avoid the need for private mortgage insurance (PMI). PMI (also referred to as “mortgage guaranty insurance”) protects the mortgage lender in the case you are unable to pay your mortgage. Most inexperienced and/or first-time homebuyers assume that PMI is required for everyone – regardless of the purchase price or house value. According to Freddie Mac, the “magic number” of down payments plays a key role that can save you a substantial amount of money upfront when buying a home. 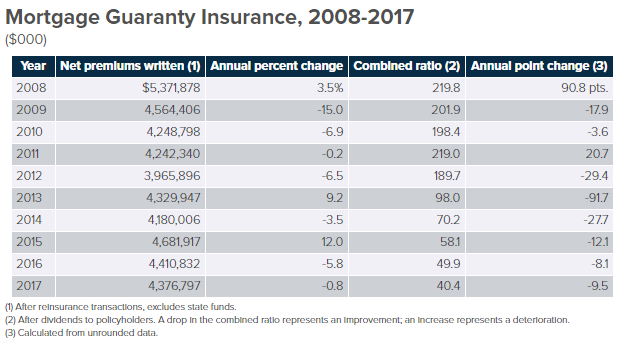 Private mortgage insurance is designed to terminate automatically when the principal balance of your mortgage loan reaches 78% of your home’s original value. You can check the date on your PMI disclosure form when you initially secure the mortgage loan. To avoid this financial hurdle altogether, though, modify your savings strategy to target paying 20% of the desired purchase price as your down payment. However, when saving up for your down payment, it is still important to maintain a proper perspective. For instance, just because 20% is the “magic number” that essentially removes PMI from the equation, this does not mean it is your only option. One report claims that the median down payment on a home is 13% – not 20%. Depending on the purchase price of your desired home, it could take quite some time – maybe even years – for you to save up a 20% down payment. Emergency fund savings, and more! When you think of your overall mortgage, the interest rate plays a crucial role in the calculation f your monthly payments. 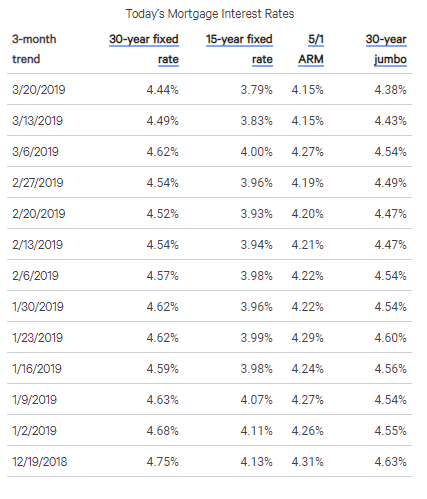 Since it is based on a percentage, a slight change in either direction (increase or decrease) can have a major effect on your monthly mortgage payments. It is imperative for you to understand how the interest rates are calculated and how they affect the terms of your mortgage loan. This information will help you to budget your finances accordingly throughout the life of your loan. Want to learn how to get the lowest interest rate on your personal loan? Check out this guide to learn everything you need to know! Improve Your Credit Score: The higher your credit score, the lower your interest rate will be for your mortgage loan. Closing Costs: If you strategically negotiate your closing costs, this means that you will have less money added to the sales price of your new home. When buying a new home, remember that each dollar counts! Loan Term: Do not overlook the duration of the loan. Each year that your loan is active is another year that you must pay that interest rate on the money owed. The faster you pay off your loan, the less money you will pay in interest. Another hidden cost that you should consider when buying a new home is real estate commissions. When you reach out to a real estate agency, broker or individual realtor to help you buy a new home, you must take their pay into consideration. The real estate industry thrives off the commission structure. Whether you sell or buy a home with the assistance of a realtor, a chunk of the money brought in or paid out will go directly to them. Want to save money? When you consider all the fees associated with buying a home, the real estate commission is typically one of the fees that you can negotiate with a little bit of sass and strategy. What is the big deal? Everyone makes something off someone, right? That’s just the way of the world and there is no way around that, right? Wrong! How can you save money when negotiating terms with a real estate agent or broker? Anything is Better than Nothing: Even if you can get a small discount, it is still better than paying full price. For instance, the standard commission rate is 6%. Depending on the purchase price, even a 1-2% discount may lead to saving thousands of dollars. Keep Your Options Open: Do not rush to do anything when it comes to finding a realtor. You had to take time to save enough money to buy a house, right? Well, you need to take time to analyze your options carefully and cautiously to find the most competitively priced package. Increase the Selling Price: It may not seem as if you are saving any money with this step since it will only give the real estate agent/agency more money based on their percentage. However, it would put more money in your pocket above your original asking price. Focus on New Agents with Limited Experience: Real estate agencies and realtors with decades of experience will typically charge you amounts that reflect their market value. Find a full-service real estate agent that is new to the industry. Offer Referrals: Do you have a friend, relative or coworker that wants to buy or sell a house? Use that referral as leverage during your negotiations to get a much better deal. It is easy to mistakenly assume that homeowner’s insurance is an expense that you must worry about after you move into your home. Once again, you can think about it like buying a car or truck. Before you leave the dealership, in most cases, you must call your insurance company and add the vehicle to your policy right then and there. A similar principle applies to insurance for homeowners as well. In most cases, the first year’s premium must be paid during the closing stage of the homebuying process. For More Info: Here are 15 cheap insurance policies and the reasons why you should consider them in general! Raise the Deductible: The higher your deductible, the more money you will save in premiums. For instance, you can save up to 25 percent by raising your $500 deductible to $1,000. Use the Insurer of an Existing Policy: Check with the insurer of your existing policies to see if they offer insurance coverage for homeowners, too. You may qualify for additional discounts by bundling your policies. See if You Qualify for Additional Discounts: You may find various discounts for which you qualify – such as retirement discounts, subscription-based membership discounts and even discounts for installing anti-theft equipment in your home. Consider the Cost When Shopping for Your Home: You would be surprised by how much money you can save by focusing on insurance coverage before you commit to buying a new home – especially if you are concerned about its location. What should you check for when shopping around? Like with most insurance policies, you should shop around competitively for affordable policies before committing to a new policy or even renewing an existing one. When you think of buying a home, you may not think of the need to invest in a home inspection. It is true that you can purchase a home without a home inspection – especially if you do not need a mortgage lender to finance it with a loan. However, it is highly recommended for you to never skip the inspection. Keep in mind that a professional home inspection will confirm the livability of your new home. In addition, it will help you to identify key areas of concern that can help you when negotiating the sales price. You may find landmines that drop the value & could chop away at the purchase price. Even if you have inspected the property yourself, make sure that you invest in a 3rd party perspective to potentially catch what you may have missed during your own examination. 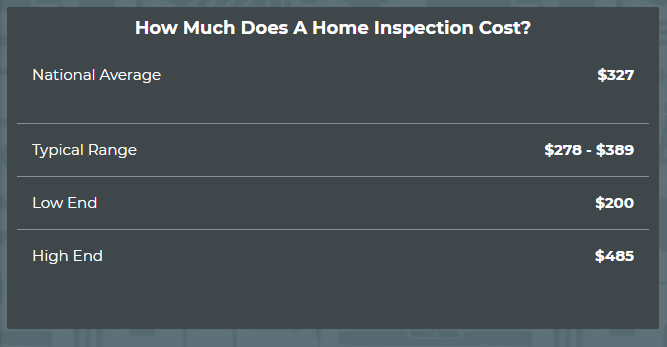 How much money will you have to pay out for a professional home inspection? According to Home Advisor, the typical range for a home inspection is $278-$389. How would you save money with your home inspection? First, asking if one is required should always be one of the questions to ask when buying a new home. Search for Discounts & Promotional Offers: Find home inspectors with a relatively short list of clients – such as those just starting out in the industry. They will more than likely offer discounted rates, coupons and other incentives to help offset your costs. Ask a Lot of Educated Questions: This may not help with the inspection cost, but it will help with the cost of future repairs. It will help you search for goldmines vs landmines. Study the Final Report Carefully: Do not just toss the report aside, because it could unlock a series of money-saving opportunities for you in the future. It will also give you the “inside scoop” on your property from top to bottom and answer questions that perhaps the seller could not even answer for you. Another one of the hidden costs when buying a home is the overall maintenance expense that you must pay each year to keep your new home in good condition. As is the case with any major purchase, maintenance expenses should be expected and worked into your budget – especially during the first year as you become more comfortable with your property. 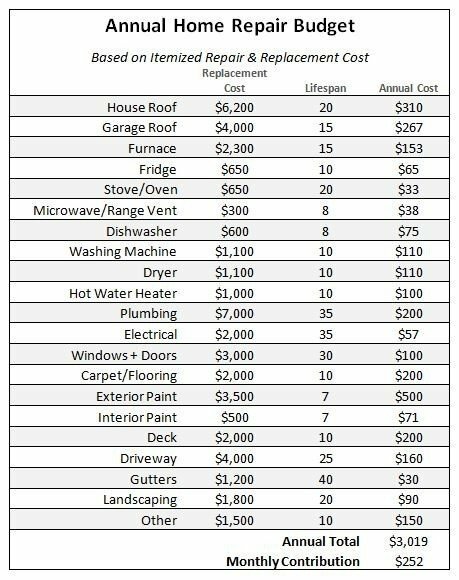 Below is an itemized list of average repair and replacement costs compiled by Zillow that should be factored into the typical home repair budget. A report from CNBC states that you should focus on the sales price of your home when calculating your annual maintenance budget. Good to Know: It is true that you may not spend every dollar of your “maintenance budget” each year. On the other hand, there may be certain years when you pay double (or even triple) that projected amount. Therefore, it is highly recommended for you to manage your long-term savings as a homeowner to accommodate any unexpected (or expected) maintenance expenses that may arise. More questions to ask when buying a new house consist of moving your belongings and furnishings from one house to the next. Whether you hire a moving company to handle your needs or you handle it like a DIY project with a little help from family and friends, there will always be some expense involved. As referenced above, the best way to save money is to get as much help from your family and friends as possible – especially if they already have trucks that you can use without having to pay rental expenses. There are certain lenders that require prospective homebuyers to establish an escrow account that works well with the mortgage loan agreement. All the money deposited into this type of account is used by the lender to pay various expenses related to your homebuying journey – including private mortgage insurance (PMI) and/or homeowner’s insurance, property taxes and other associate fees. You will make an initial deposit (amount depends on lender) at the closing table. You will make a payment that is typically 1/12th of the annual estimated bill for insurance and taxes in addition to the monthly mortgage payment. As you probably guessed, the purpose of the escrow account is to assure the lender that you will handle the critical expenses associated with homeownership in a timely fashion. The payment frequency depends on you, but you should consider the other periodic expenses associated with owning a home as well – such as property taxes and insurance premiums. HOW CAN YOU CALCULATE THE MORTGAGE ESCROW? Taxes: Get accurate quotes from all the necessary tax offices depending on where you live. Make sure you provide them with an accurate physical address of your new home. Hazard Insurance: Depending on where you live, this may or may not be a requirement. For instance, you will likely never need earthquake insurance on the East Coast. Make a note of the applicable annual premiums of any hazard insurance policies. Homeowner’s Insurance: Once you have a confirmed policy, make a note of your annual premium amount. Related Escrow Items: There may be some other escrow items that you need to factor in – such as private mortgage insurance (PMI). If so, make a note of those amounts as well. Once you add all the figures together, you will have a solid estimate of the total escrow that you will need in the account for the year. You can get a monthly payment amount just by dividing the total sum by 12. And there you have it: a complete guide that shows you how much your new home may end up costing you. We would like to hear from you. How has the homebuying experience been for you? Feel free to share in comments below.